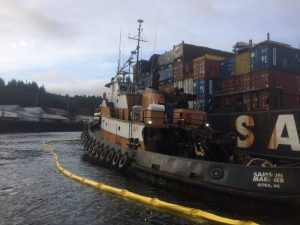 The Coast Guard, working in partnership with several other agencies, continues to respond to the tugboat SAMSON MARINER that ran aground near Rosa Reef in north Tongass Narrows, Alaska. Approximately 1,100 gallons of fuel was spilled before the breach could be patched by Alaska Commercial Divers. 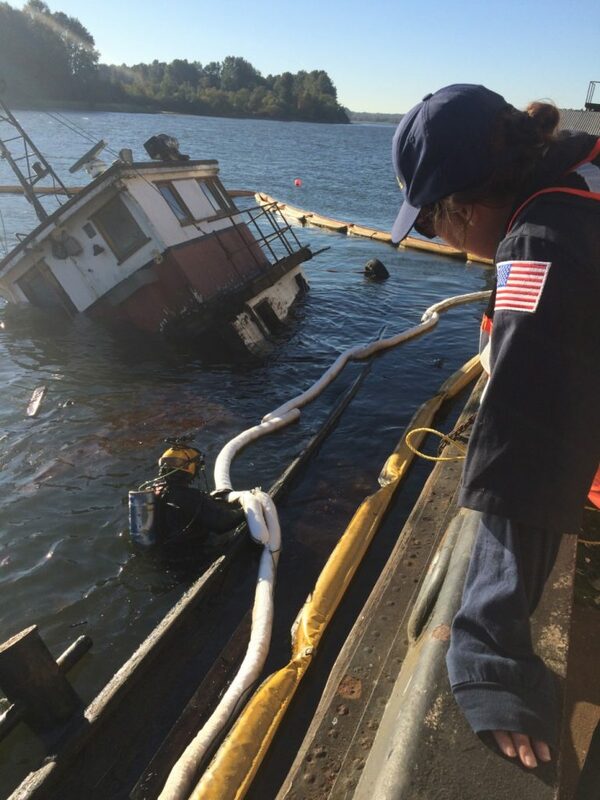 The official report by the Coast Guard indicates that environmental pollution from the breach might have been much higher, as the SAMSON MARINER was carrying 30,000 gallons of fuel on board while the barge was carrying 40,000 gallons of diesel. Thankfully, the barge did not sustain any damage. 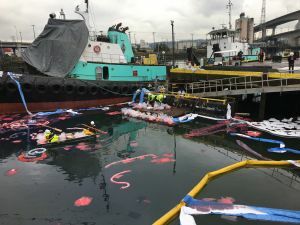 Southeast Alaska Petroleum Response Organization (SEAPRO) initiated immediate cleansing of the water around the Rosa Reef using a fuel containment and recovery boom as well as absorbent pads.